Otters' Holt is a newly refurbished & decorated two-bedroom bungalow tucked away in the beautiful, peaceful Somerset countryside but close to the popular beaches, shops, restaurants and attractions of Weston-super-Mare, Burnham-on-Sea and Uphill. Accommodation comprises a king bedroom with king-size bed and bedside cabinets with touch lamps, bench chair, wardrobe, chest of drawers and wall mirror. 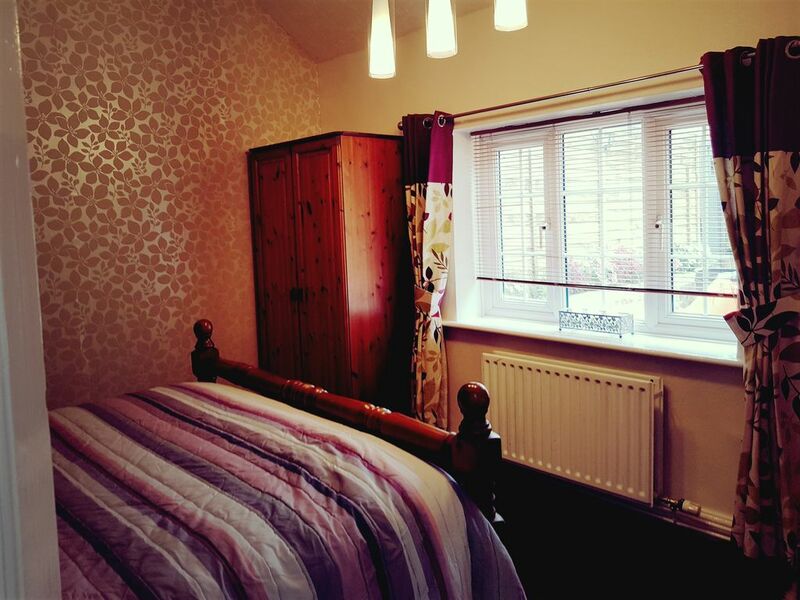 The second bedroom has a double bed, cupboard, bench chair, wardrobe, wall mirror and touch lamps. All beds benefit from Egyptian cotton linen to ensure a comfortable and luxurious night's sleep. Adult guests are also provided with fluffy towelling bathrobes. The well equipped galley kitchen has a large American style fridge/freezer, Rangemaster double oven, microwave, toaster and kettle and high quality crockery, glassware and crockery. The kitchen is located off the dining area with seating for six guests. The sitting area has a large corner sofabed which can accommodate a further two guests (note additional charge applies for more than four guests/linens for the sofabed ), table & lamp, floor rug and large FreeView TV and Wii. Guests can also use the Firestick to access a variety of TV stations, Netflix and Amazon Prime and a Bluetooth portable player to listen to music on your smartphone or iPad. The utility room houses a dishwasher, washing machine with ironing board & iron and vacuum cleaner. The modern tiled bathroom has a bath with overhead shower and there is a separate second WC. Egyptian cotton hand & bath sheets/towels and bathrobes are provided for our guests. The private courtyard garden with its beautiful flower borders has car parking and a small bench. Guests can also make use of the free, secure WiFi. The property benefits from central heating which will keep you cosy on Winter breaks and window blinds in addition to lined curtains. Otters' Holt has an information pack to provide you with information on your holiday home and details of places to visit during your stay with us, including the local beaches, restaurants & pubs, family day's out, shopping, restaurants and local leisure/spa centres. We are mother (Lorrayne) and son (Jake) and we look forward to welcoming you soon to our holiday home, Otters' Holt. We live in the adjacent building, but fully understand how important it is to leave our guests to fully enjoy their well-earned holiday and to have a relaxed and stress-free stay. But you can be reassured that if you need anything at all, or have forgotten to pack anything, we're here to help! We moved to Somerset from London (where both of us were born - one a lot earlier than the other!) and now consider beautiful Somerset and its friendly people as our home and family; we hope that you will come to feel this way about your holiday home. Otters' Holt is in a beautiful, peaceful location, surrounded by fields of grazing cows and a short walk or cycle ride in the surrounding area will reveal so many wonderful sights; birds, wildlife and plants. However, we are not at all isolated, being around 5 miles from Weston-super-Mare, Burnham-on-Sea, Brean and Uphill with their long stretches of beaches, attractions, restaurant and shopping. We are ideally placed to visit attractions further afield in Bristol, Exeter and Bath. The property has been recently decorated and furnished to a very high standard. It is located next to Otters' Lodge which provides accommodation for up to 4 guests. Otters' Holt is in a beautiful, peaceful location, surrounded by fields of grazing cows and a short walk or cycle ride in the surrounding area will reveal so many wonderful sights; birds, wildlife and plants. However, we are not at all isolated, being around 5 miles from Weston-super-Mare, Burnham-on-Sea, Brean and Uphill with their long stretches of beaches, attractions, restaurant and shopping. We are ideally placed to visit attractions further afield in Bristol, Exeter and Bath. The property has been recently decorated and furnished to a very high standard with modern decor, Egyptian cotton sheets, luxurious bedding and towels.